Over the last several years, there has been an alarming number of data breaches. Even some of the largest companies in the world have been affected. Prominent examples include Equifax and Marriott Hotels. Of course, not all data breaches make national headlines. Many small and mid-sized firms have also been forced to deal with data breaches. For business owners, it is crucial that you know to respond to any type of cybersecurity breach, should one occur at your company. In this article, our skilled Miami business litigation attorneys highlight the four most important things business operators need to do after they find out that their company was the victim of a cybersecurity breach. Dealing with a data breach can be frustrating and confusing. It is often difficult to untangle exactly what data was affected by the breach and how the breach occurred. The first step in handling a breach is conducting a careful, complete assessment of what happened. You need to be sure that you have a full understanding of what sensitive customer data was breached. In addition, immediate action should be taken to prevent any further unpermitted access of customer data. 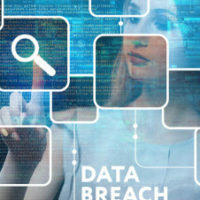 Under Florida law (Florida Statutes § 501.171), business owners have a duty to notify affected customers of the data breach within 30 days of the date that the breach was discovered. The notification must be written or electronic and it must contain sufficient, specific information about the details of the illicit data breach. A Florida business attorney can help your company ensure that you are notifying customers in the proper manner. Beyond that, any data breach that affects more than 500 people must be reported to Florida regulators. The failure to do so could lead to penalties. When a data breach occurs, one of the biggest mistakes a company can make is to mislead customers. If customers are intentionally or negligently misled, that could be a serious legal violation. Your company could face considerable financial penalties. With cybersecurity breaches, the general rule is that more disclosure is better. Finally, when the dust has settled, it is imperative that business owners take whatever corrective action is necessary to prevent futures breaches. If you were the victim of a data breach, it is strongly recommended that you revamp your cybersecurity and data retention policies. An experienced Florida business lawyer can offer guidance on creating an effective data retention policy for your firm. At Pike & Lustig, LLP, we are committed advocates for our clients. If your company was the victim of a data breach or if you are preparing to strengthen your data retention policies, our Florida business lawyers can help. We have offices in West Palm Beach, Miami, and Palm Beach Gardens, and we serve communities throughout the region.